Apple Pie Moonshine – a delicious easy cocktail that tastes just like apple pie and makes a perfect gift or holiday party drink! Besides being completely delicious, these are a super cute gift to give! 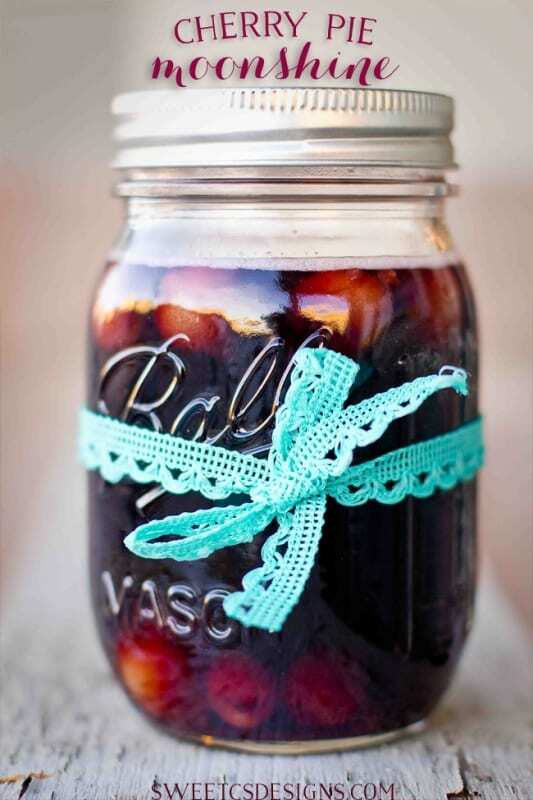 You can give it to people in mason jars, and its much, much less expensive than buying bottles of wine or liquor. Just tie a cute ribbon around the jar and add a cute gift tag and you’re all set! To start, you’ll need a big pot. We’re going to boil the ingredients (minus the liquor) together to concentrate the flavor and help them come together. Also, be sure your mason jars are sterile when you add the mixture. I just wash them in the dishwasher (and use the steam sterilize cycle) and open it just when I am ready to pour the mixture in. Grain alcohol is pretty strong so you shouldn’t have a big issue with contamination, but being safe is always best! As with any alcoholic drink, please have a designated driver, and only serve those 21 and older. This is a VERY strong drink, and tastes delicious. It is SNEAKY!! Please drink in moderation and have a safe and happy holiday. 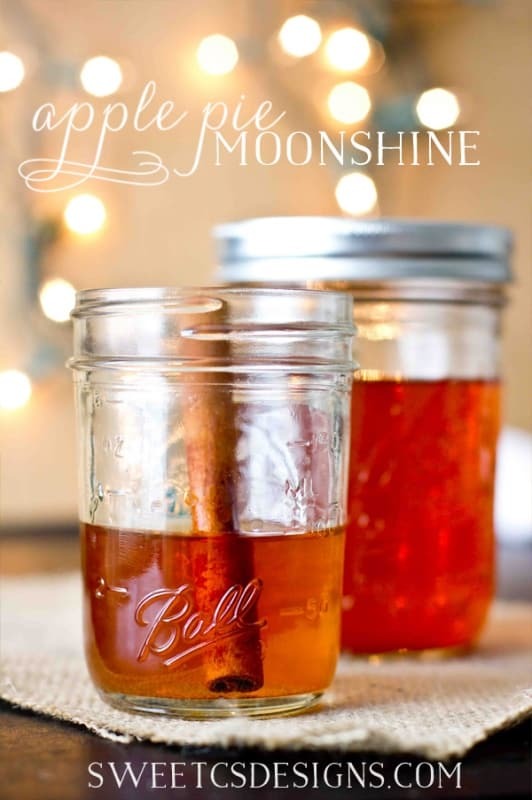 If you love this easy apple pie moonshine recipe, please leave a five star review and help me share on facebook and pinterest! Apple Pie Moonshine - a delicious easy cocktail that tastes just like apple pie and makes a perfect gift or holiday party drink! Add apple cider, apple juice and sugar to large pot, bring to a boil. Make sure sugar completely dissolves. Add in grain alcohol, stir. 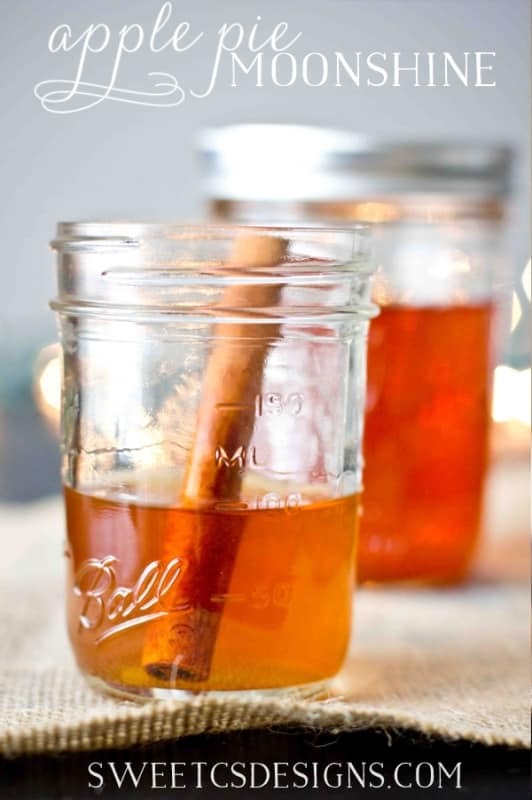 Place cinnamon sticks in sterile mason jars. Pour mixture into jars and add lid. Let sit for a week or two- this only gets better the longer it sits. 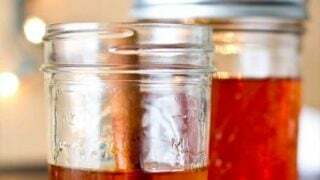 If you love this recipe, check out my Cherry Pie Moonshine! I was so excited to make this that forgot to boil, I only heated till the sugar disolved. How bad did I mess up? It should be ok, boiling helps to make sure you really bring out the sweetness, but you will likely be fine. I am so excited to have found the recipe! I am making this for my 20s/30s themed birthday party. Instead of putting the mixture in individual jars I put the mixture in a 2 1/2 gallon mason style jar with a screw top lid. Is that as safe as putting the mixture in individual jars? Yep! I’d just make sure the top is on tight and you aren’t letting any air in as you let it sit- but for the party it should be fine! What is the proof of these after mixed? What is the proof of these after mixed ? I used another recipe that was very similar to yours, but only called for 1 qt of the apple juice instead of the whole gallon. Needless to say it is VERY strong; so strong my husband won’t even take another sip. Would it hurt to add more apple juice, or do you think it will ruin the flavor since it won’t have the boiling process? After I make this, can process in a hot water bath to can (seal he lids) or will they seal on their own? I tried to read through the comments but I wasn’t sure. Thanks! I cant wait to make this for Christmas gifts!! Brooke- I don’t seal them. Since the alcohol content is so high, it doesn’t create a good environment for bacteria to grow. Ok! I am SO excited to make this,I am pregnant right now, due in November so I plan to make it soon and then what a treat after I have this little one <3 Do you think it will be ok to give it a Christmas gifts I we make I now? My best friend and I are panning to make a day out of making this and peach, I am so excited we found your blog!! We had some that a friend made for us (which we forgot about and found later) and they were perfectly fine- so I think it should be ok. I usually make them a month before giving- but you should be ok! I Made a batch and sealed the jars. It has been a couple of weeks. It is too weak for my taste. Would it be okay to open the jars and pour a bit out, add more everclear and reseal them and still be safe ? Yes! You’ll be fine. You can also add more when you pour a drink. I made this but don’t think I added enough alcohol. I used everclear but its not very strong would it be Ok to top off the jars with ever clear if the moonshine is to weak? I made this last night and was told to let it cook for 3 hrs. Then I let cool sitting on the stove over night. I added the everclear this morning. Did I ruin this by letting it sit so long without adding the liquor? It should be fine- if you used everclear, it helps to keep bacteria from growing. it helps to let the pre liquor mix cool completely after heating. The heat causes evaporation of the alcohol content if still hot. I found this recipe and got super pshyched, for about 30 seconds, then I realized Everclear isn’t available in Canada. The closest I could find locally is 84 proof vodka, or 151 proof rum (which would naturally have more flavour). Unfortunately I won’t be State-side any time soon, so those are my options. What do think would work best? Is the apple cider still or sparkling? Still. In this recipe, sparkling would go flat long before it is consumed- but it would be a tasty mix in when you drink it! That does sound like a lot of bottles, but I am guessing they were just smaller. As far as dumping in before it was completely cool, you should be fine. Its best for it to be cool so you don’t cook off the alcohol- but as long as it wasnt boiling and was just warm, you’re fine. 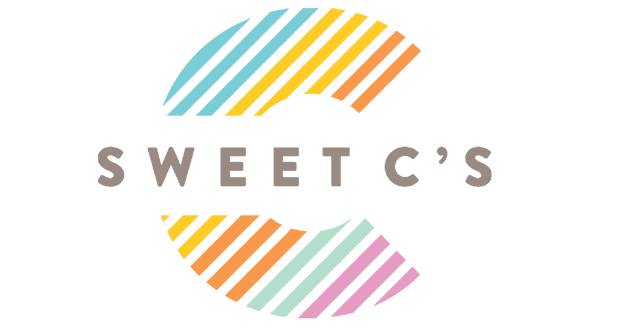 The peach pie recipe is a different recipe with different amounts. It’s a smaller batch. I make the same stuff called it Apple Cinnamon Crisp. I split the sugar into half white & brown & I add the sticks in to boil so they open up + 1tsp of vanilla extract & I strain it after it cooks/boils for half an hour, it seems to carry more of the apple taste of the cider. Then add the hard stuff. I also used 2 liters & it was smooth. I made the mistake on my 1st batch ( only 1 qt:) on putting it in the fridge,, yuk. Just can it (put it in quart jars) & store it in a dark place, like the top cabinet in my kitchen works well for me. Most important is after you add the hard stuff you don’t want to heat it up again or you’ll lose the alcohol proof. This recipe is a very common one found many places on the internet. There are a few things it leaves out. You should strain or filter the cider before you boil. You can buy pre-filtered cider but it is more expensive. I use brown sugar in place of white. Also, make sure you use the cinnamon sticks that you boiled in the jar instead of a new one. This will continue to add flavor because the stick has opened up. If you refrigerate you will accidently “Cold Filter” the moonshine. This isn’t a bad thing but you will have some separation take place. Just give it a good shake and you will be fine. Going to try to make a batch asap…but I want to let it sit for the full two weeks before the hubby tries it! Does it need to be refrigerated? Thanks in advance! Wish me luck! Quisha, I havent ever refrigerated it. If you use everclear, the alcohol content is so darn high, I dont know that bacteria could live. I’ve never had a problem- just found a jar of some we had FROM LAST YEAR and it was just fine! I seriously cannot wait to try this recipe! I would like to brew this up tomorrow, however I understand that your recipe recommends a week or more sit time before serving. WIth Christmas being next Wednesday, should I still attempt to make this as gifts? This sounds so darn delicious I just don’t want to mess it up. If so, should I follow the recommendation for Steph (above) for 1.5L if I am using vodka (she is using bacardi so I just want to double check). I look forward to your response! Thank you so much! Go for it and still make it! It does taste better after time… but I just tasted some of my cherry pie moonshine the day I made it and it was awesome! Plus, this is STRONG stuff we’re talking here… so hopefully your recipients arent drinking it all in one sitting. They can let it sit for a while too! We work through these veeeery slowly, so it’s not too much of a big deal. Steph- I’d bump it up to 1 1/2 liters. We’re counting on the alcohol to keep the juice from going off. You could also try vodka! Great idea! Thanks for the quick response, that is what I will do. Happy holidays!!! How did this work with the 151? I know this may be a silly question, but you don’t have to seal the lids in a pressure cooker for this to stay fresh do you? And does it need to be refrigerated? Sounds delish and can’t wait to make it … I just want to make sure I don’t serve anyone any botulism for the holidays! The amount of alcohol in everclear keeps it ok… if you used something less than 90 proof, or even lessened the amount of alcohol, it would be dicey. It is VERY, VERY alcoholic, which does a pretty good job at inhibiting the growth of bacteria. But do you have to pressure cook to seal the jars? Hi Brenda- any liquor store should have 190 proof Everclear or Grain Liquor. It is usually with the cheap-cheap-cheap stuff (it is NASTY on its own). You can ask a clerk there to point out the grain alcohol to you and they should be able to point you to the right direction. (It’s the gross stuff we used to make jungle juice with in college). Are these the normal size mason jars, or the small ones? Just want to know how many to purchase and how many jars per batch are used. If you want to give it in quarts, you’ll need 9 quart sized jars. Thanks for posting this recipe! Batch #1 is on the stove as we speak!! We have received this as a gift 2 years in a row and always are bummed when it runs out!! So you can imagine how excited I was to see you post it on Pinterest!! We are gifting this to friends this year. I’m also printing out the recipe from your blog (which of course has your blog address on it!!) and will tie it to the mason jar with the ribbon! I found some awesome red ribbon that says “Keep Calm and Carry On” on it! Perfect finishing touch to this gift!! I know Taradara will love it when I give her some 😉 Keep up the awesome work!!! Merry Christmas!! Cindy- you’re friends with Tara? I LOVE HER! She is the best!